When it comes to finding a reliable dishwasher technician in Newark,New Jersey, you can’t go wrong with our company. In this modern hectic life, having a dishwashing machine installed in the kitchen is not a luxury but a necessity. There’s no need to spend time doing the dishes by hands as a single press of the button is all it takes to get all these utensils clean and sparkling. However, this convenience only lasts until the first problem arises. If you have noticed any unusual symptoms, don’t rush to write your unit off and call us for dishwasher repair first. Available all over the region, we are ready to send out a licensed tech the same or next day. As you can see,appliance service is no longer a hasse with us. So try it! From routine maintenance to dishwasher installation, the Newark techs are on it! 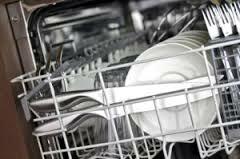 Our company is here to assist you with a vast array of services including dishwasher installation. So whenever you need the help of a qualified installer, call us without hesitation. It doesn’t matter what type or brand you have purchased, the local specialists are familiar with them all. With many successful projects under the belt, they can fit any unit right the first time. And if you opt for our annual maintenance service, you will be able to enjoy the smooth operation of your appliance for years to come. So don’t wait any longer and schedule the inspection with a dishwasher technician of Newark right now. You won’t be disappointed!